Brewing Stand is used to brew potions. 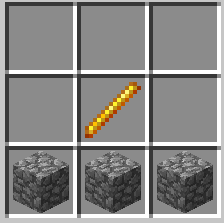 The item will make up to three potions at one time. Right clicking on the brewing stand will open up the brewing screen to make potions. An alternative use for the brewing stand is for decoration.